When interacting with a work of art with our eyes, the verb we use to describe that act might give a hint of the viewer/art relationship to come. Do we see, look, admire, contemplate, or just glance? 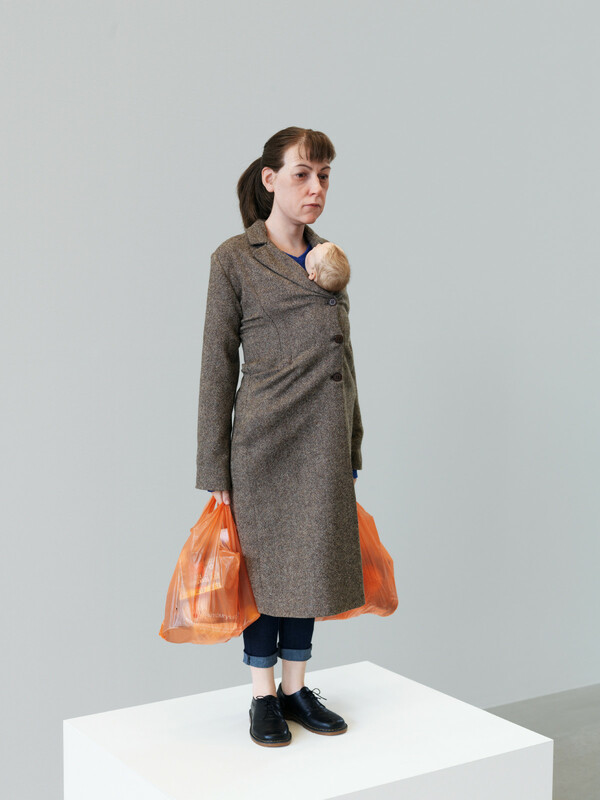 There will likely be no simple glancing as museumgoers walk into the newest exhibition at Museum of Fine Arts, Ron Mueck. 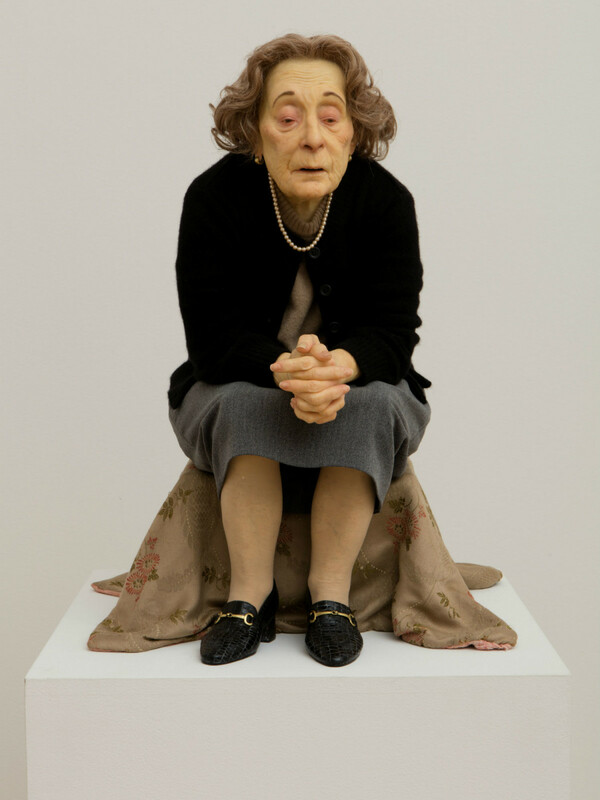 When viewing Ron Mueck’s naturalistic sculptures, especially for the first time, perhaps the most accurate verb choice is to stare. We can’t help but stare at these stilled, small or monumental visions of ourselves, especially when some of these sculpted ordinary faces stare right back at us, seeming to know too of life’s every joy and burden. 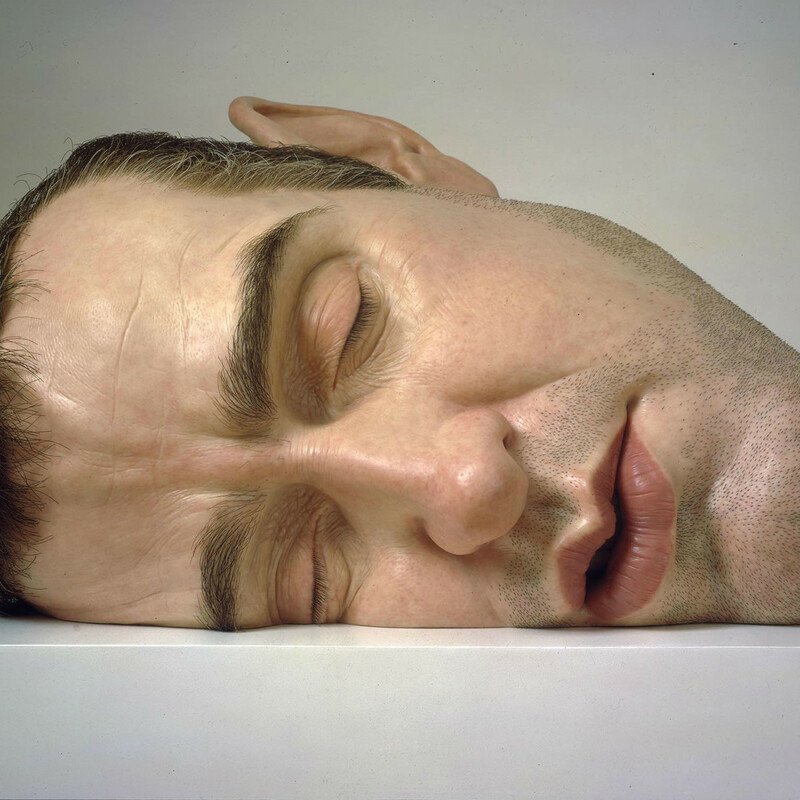 “Ron Mueck’s work tantalizes us with its life-like realism, its hyper-realism, but at the same time there is something very meaningful and deep about the work,” MFAH director Gary Tinterow said at a recent media preview of the exhibition. 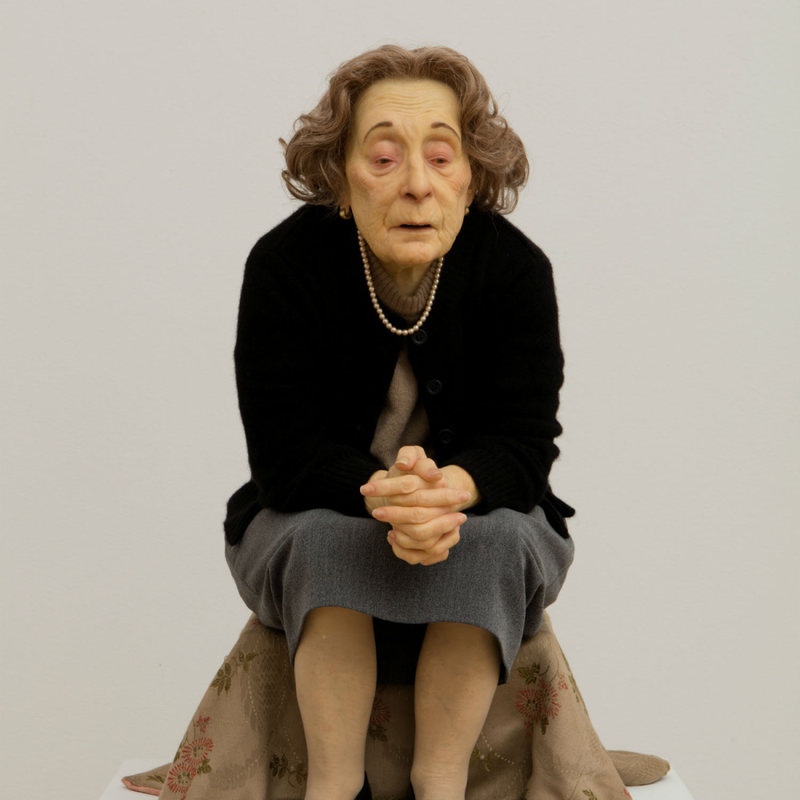 The exhibition offers 13 sculptures, but since Mueck takes approximately a year to complete a work, the galleries contains almost “one-third of the artist’s total oeuvre,” according to the MFAH. And yet, we could probably spend a full afternoon staring at this baker’s dozen of sculpted people (and one dead chicken) as our gaze turns into a kind of visual exploration into the intricacies of their bodies and faces: the creases of wrinkles, the fine hair on an ankle, a line of veins under the skin, even the smear of blood glazing a newborn. From exploration, we might turn into Sherlock Holmesian investigators to deduce the stories the figures tell. Beyond the eerie naturalism of the sculptures are the stuff of dreams and mysteries the art calls us to interpret and solve. How can we not wonder what these creatures are thinking? And so we perhaps supply our own backstories based on our own lives. We know these sculpted people: the older Untitled (Seated Woman) lost in her own world or past; the Crouching Boy in Mirror contemplating his emerging identity, the old Couple under an Umbrella lazying at the beach. We recognize them or maybe even once were or will be these people. Yet, because they are so life-like, but never life-sized, either much smaller or larger than ourselves, they could never be mistaken for celebrity waxworks or Disney animatronics. 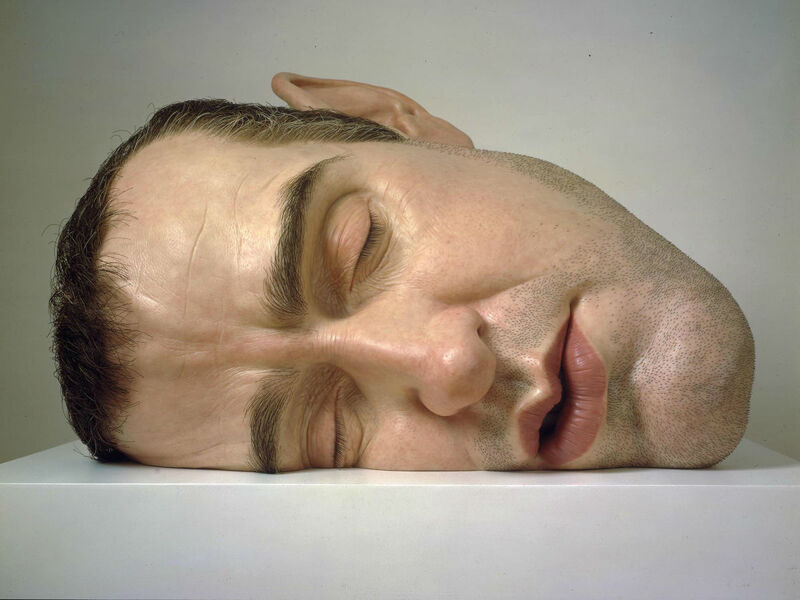 Interestingly, Mueck began his sojourn into sculpture via puppetry and model-making for television and film. He was even a creature workshop artist on the Jim Henson movie Labyrinth and voiced the monster, Ludo. Greene also notes that while the works reflect the mundane as well as the profound of everyday, very much contemporary, life, they also reflect back to the history of art. 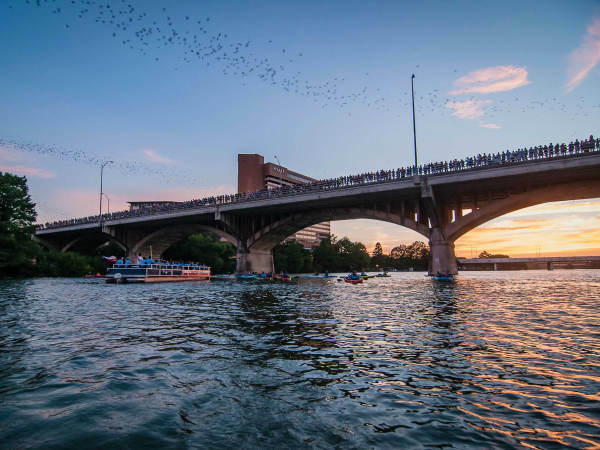 “He will look at something that is very much of our present time, of our shared experiences but often there will be subtle echoes of the history of art or the larger history of our cultures,” she said. 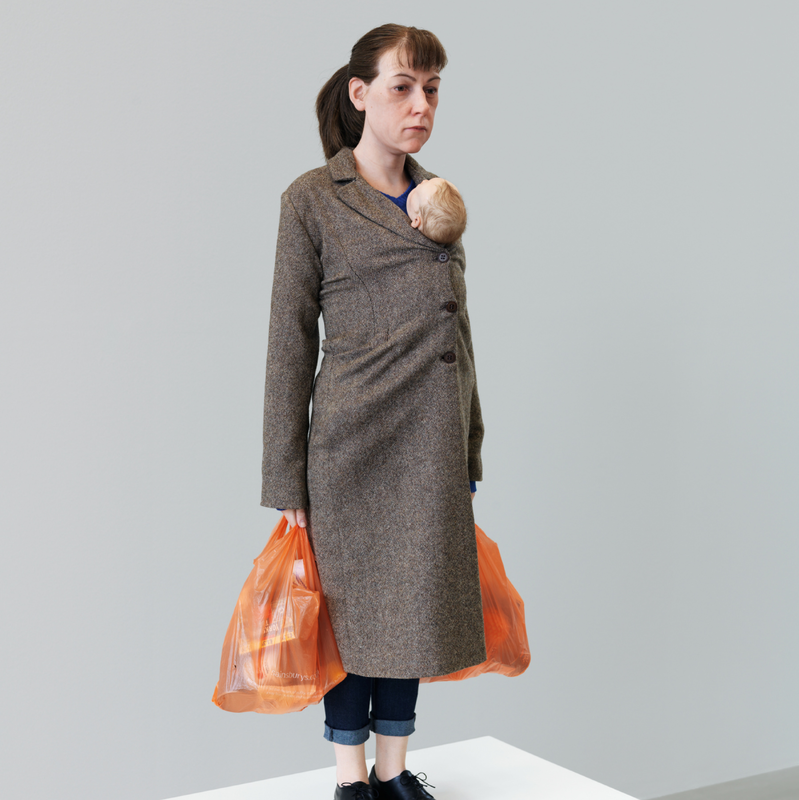 For example, Green points out that though we’ve probably seen the real-life version of the weary Woman with Shopping on any busy urban street corner, there’s also something of a subtle hint of a thousand years of, and variations on, the image of mother and child or even Madonna and Child within the sculpture, as well. Above all, Green advises we view, stare, and visually investigate the works from all angles, for only then do we glimpse the layered ambiguities of the art that we have to interpret for ourselves. This advice should guide the viewer from beginning to end of the exhibition. Case in point, from head on, the second sculpture in the first gallery, Young Couple, might evoke an “aww” of young love spotted, but look behind the teens in mid-whisper at the their clutched hands and arms and suddenly we’re reading the art of what may be a whole other story. 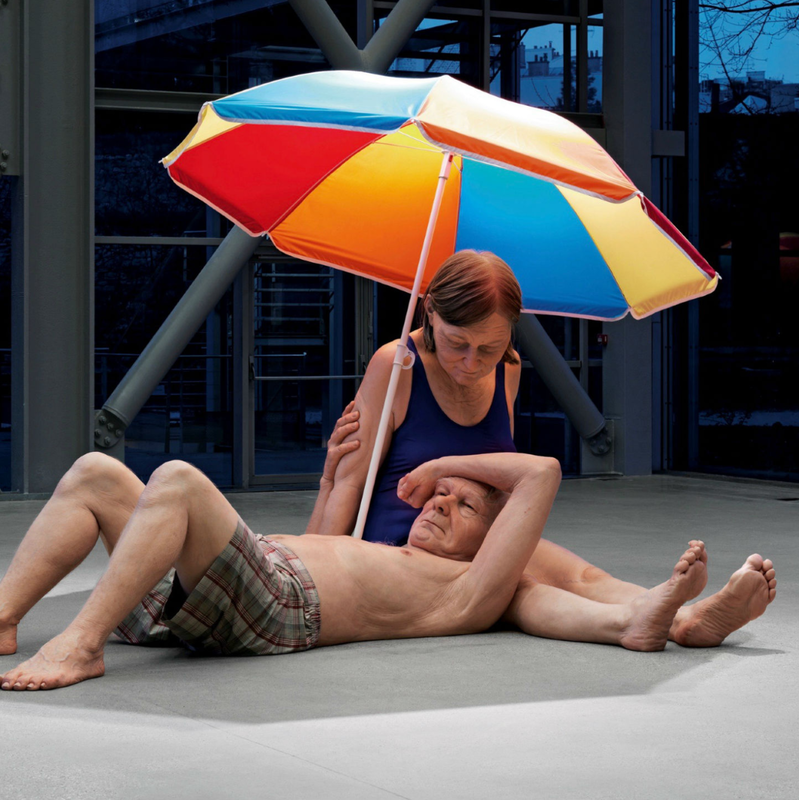 Ron Mueck remains on view at the MFAH to May 29, 2017.